Prior to 8.1, administrators could create IVR scripts to facilitate callers navigate through menus and thus enhance the caller experience. The scripts were created by IVR administrators and associated with a channel. 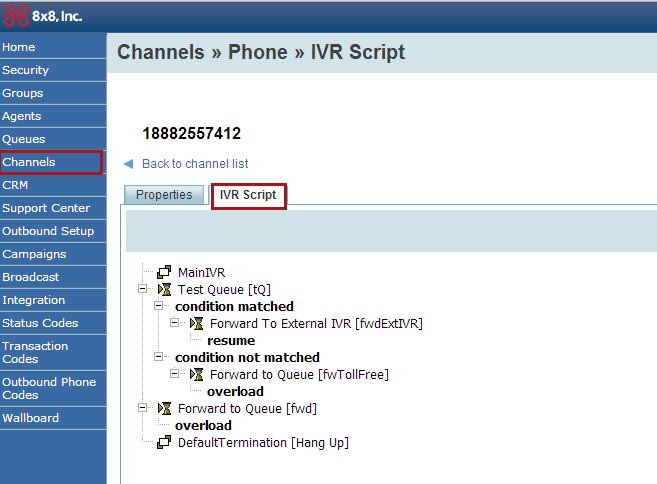 Using the same script across multiple channels required the IVR administrator to create the script for a channel and then modify the Use script from channel for other channels. This created an inherent dependency between channels.